7 stages of Design Thinking !! Today in this digital disruption, marketplace is in a state of rapid change. Competition is coming from every direction. Design Thinking has gained influence where many renowned brands are embracing it for survival, and providing value to customers. Design thinking is a process, applicable to all walks of life of creating new and innovative ideas and solving problems. It is not limited to a specific industry or area of expertise. Design thinking places you in your customers’ shoes and asks you to see the world from their perspective. It is an essential tool for the Customer Experience Manager because it imagines the life of the customer and the way she encounters your organization. The customer drives the current and future state of any business. Products and services, whether they are delivered to internal or external customers, must create fundamental value and address specific business needs. This cannot be done unless the customer is an integral part of the entire product life-cycle, not an afterthought. Choose – select powerful idea but remember most practical solution may not be the best. When applied in business, design thinkers either become part of business process or train business folks to use the method. Apple, the most valuable company in the world brought iPod a decade ago and bringing simplicity in their products without any manuals. PillPack - a service that simplifies medication dispensing for elderly. Samsung hired more than 1600 designers to become the leader, which they are now in electronics and mobile business. Pepsi hired a Chief Design Officer to design the products you fall in love with, like Mountain Dew, Tropicana, Doritos, and Lipton apart from Pepsi. Two brands that have become synonyms for the products or services they sell are -Cadbury for chocolates and Xerox for photocopying. 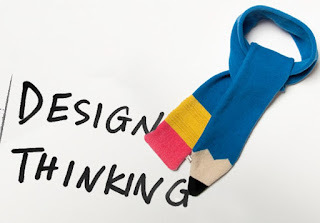 Design thinking began as a way to improve the process of designing tangible products. Today it is being applied in every part of life. 10 ways Drones are making entry into our lives !! With Digital Transformation so many technologies are coming to reality in our lives. 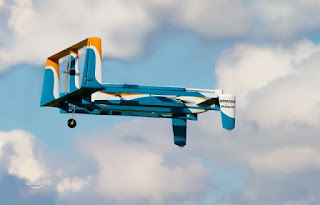 One of them are Drones, typically known as Unmanned Aerial Vehicles (UAVs). They are expected to grow into a multibillion-dollar industry. Drones have up until now been mostly confined to the military but are now being used more and more in civilian roles that go far beyond simple military use. They are light, adjustable and easy to operate and often bring better results than traditional means of helicopters, light aircraft and satellites. 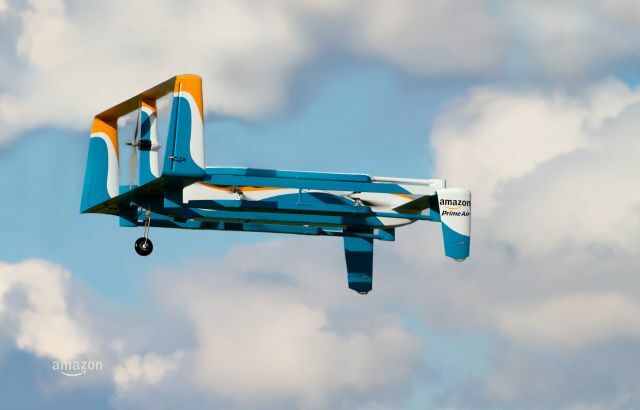 Amazon Prime Air will fly individual packages out to customers within 30 minutes of ordering. For real-time news, drones can be used to record the footage of a shootout in a bad neighborhood or nature’s fury of flood, earthquakes or wildfire outbreaks without risking the human lives. Farmers have a tough job, but drones can make it easier: they're a great way to do aerial surveys of crops or spraying the pesticides. This way, farmers can see if their irrigation systems are working, how their plants are growing, even see if any of the plants are sick by using infrared technology. In the real estate industry, it's becoming increasingly common for property listings to be accompanied by a drone tour so residents can choose where to live. Insurance companies are using them in claims settlements to assess the home roof damages. Domino’s has tested pizza delivery with DomiCopter to help their boys avoid rushing through traffic. Drones are great for sports or any big event with interesting activities going on that look even more interesting when viewed from above. Police departments across the country are buying drones that they can use for surveillance and related activity and apply BigData Analytics to predict crime. Hollywood movies like Skyfall & Harry Potter had used drones for shooting stunts. Human couriers could very well be replaced by their robotic counterparts the day drones go mainstream. It is not the technology but the regulations from aviation authorities that will be a major barrier and it will be a while before drones are allowed out to do their own thing. Today almost every new business wants a mobile version of their website. But are you going to have one design for the iPhone, another for android or Windows mobiles and also for the iPad and Kindle? With Digital Transformation at its peak, the number of devices, platforms, and browsers that need to work with your site are growing. Responsive Web Design (RWD) is an approach, whereby a designer creates a Web page that “responds to” or resizes itself depending on the type of device it is being seen through. That could be a 17-inch desktop monitor, a 15-inch laptop, a 10 or 7-inch tablet, or a 4-inch smartphone screen. 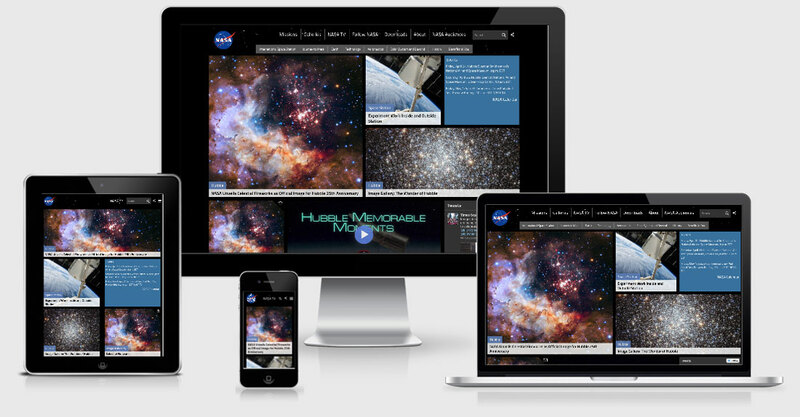 RWD represents a fundamental shift in how we’ll build websites for the decade to come. As the user switches from their laptop to iPad, the website will automatically switch to accommodate for screen resolution, content orientations as landscape, portrait or square and automatic image adjustments. You don’t have to double tap, pinch or zoom when device is changed. Simply put your web page should look good, easy to use regardless of device used. RWD uses cascading style sheets (CSS) and HTML to resize, hide, shrink, enlarge, or move the content, to make it look good on any screen. In recent years, the internet has experienced a drastic rise in mobile website traffic. Browser-equipped phones will outnumber traditional computers at some point. Touchscreens are becoming increasingly popular. Right now touchscreens are mainly on smaller devices, but many laptops and desktops on the market also have touchscreen capability. Check your traffic via Google analytics to find out where your users are coming from. Start with mobile first approach and build site with smallest screen. Focus on most important content to stay on minimum size screen. Design considering mouse scrolling for desktops as well touch screen swiping for mobiles. Consider fingers of all shapes & sizes for touch. It should be compatible with iOS, Android, Windows or BlackBerry. Optimize the site for peak performance to load quickly regardless of device. Finally test your design on actual devices. Boston Globe covering news about Sports, business & Tech, Politics etc. Simply go to the site and re-size your browser window: the website will automatically adjust to the current width of your browser. Finally all this new flexibility of fluid layouts to resize the images, page orientations, columns movement, reordering, and font’s alteration helps to optimize the customer experience. 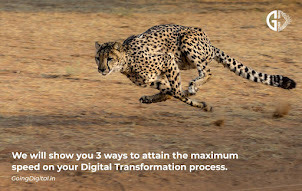 3 ways Insurers can survive Digital Transformation..
With global markets available to do business, every company is spreading its wings in different geographies. This has put tremendous pressures on local players. 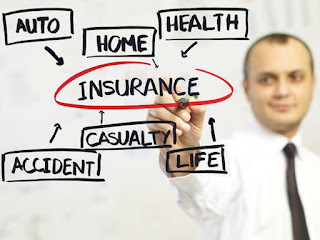 On top of that now digital technological advances, empowered consumers and innovative competitors bringing massive changes in the insurance industry. In 90s, customers looked into yellow pages for local insurance brokers or agents, rang them to ask for help to get their insurance cover. Times have changed now with digital age. Even though Insurance is one of the oldest industries to use statistics and modeling, compared to other industries, they have been slow to react to disrupting digital technology . 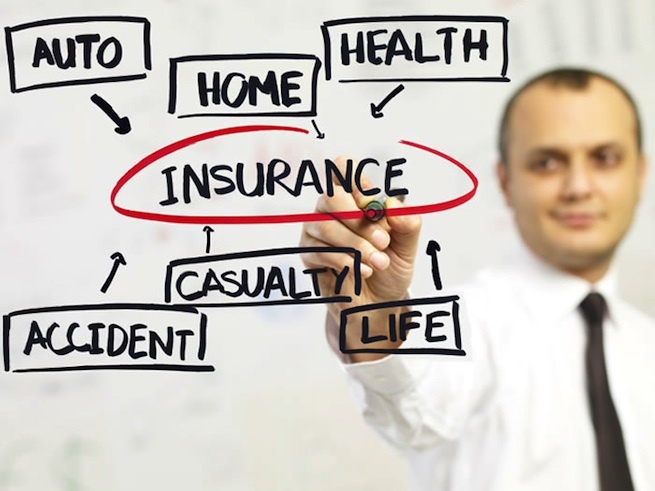 Insurance is an optional product and this makes for a highly competitive marketplace. Manual to Digital: Modernizing the quotes, policy admin, claims processing systems will be a key. Simplified & quick insurance quotes, automated underwriting, easy to purchase and manage policies, digitized faster claims processing will help instant gratification to customers. Big data Analytics: Till date insurers were struggling to collect the data from so many different systems. 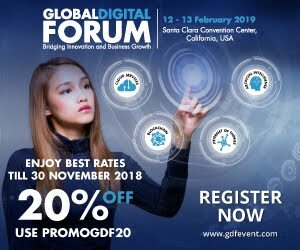 But with digital transformation, they can mine existing internal data and combine it with valuable alternate data sources like social media & health data to help gain 360 degree view of customers. This will help engage customers as individuals and offer them personalized tailored experience. Customer first approach: Traditionally insurers interact with customers only when they buy a policy, pay the premium or file a claim which is periodic in nature, compared to banking or retail business. With customer first approach, insurers can go closer to customers and grow loyalty. Digital transformation is a matter of survival for today’s insurers.